DART and the bus blog join those excited for next week’s launch of Des Moines B-Cycle. Members of the bicycle-sharing program can check out a bike from one location, peddle where they need to go, then leave it at a docking station. Like the D-Line, the B-Cycles will make moving around downtown easier without relying on a car. DART staff try out the B-Cycle. DART will be doing its part to support the B-Cycle program by taking its customer service calls. DART will also host a B-Cycle kiosk at the Transit Hub when it opens. Carl Voss of the Des Moines Bicycle Collective, responsible for bringing B-Cycle here, tells the bus blog that the most highly frequented kiosks in other cities with the program are those nearest public transit stations. 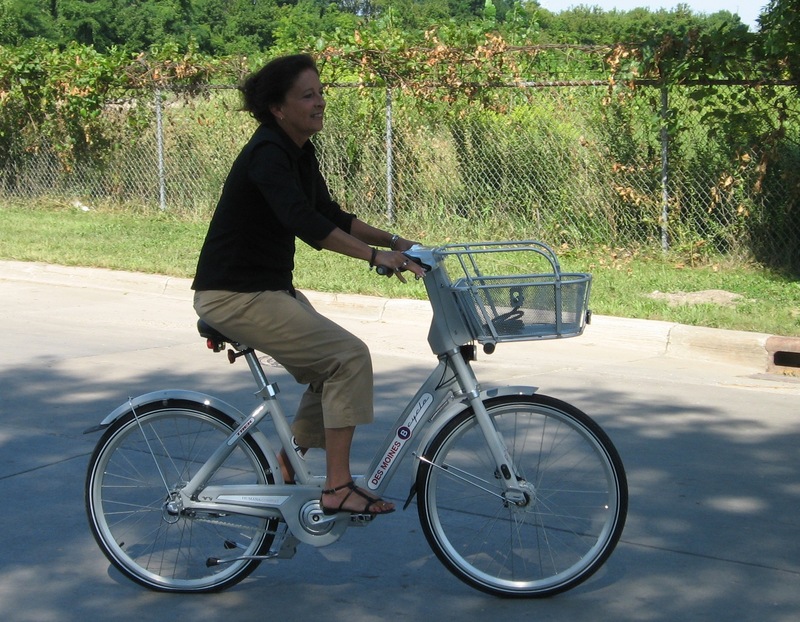 A press event to introduce B-Cycle to Greater Des Moines is scheduled for 10 a.m. Wednesday downtown at 13th and Grand. More details about the program, including a demo video, are available on Des Moines B-Cycle’s website. Click here to check it out. With your magic bike, you don’t have to look for a parking space or bring your own bike with you everywhere you go. Plus, riding a B-cycle is good for you and good for the environment. It’s the newest and best way to get around town. This entry was posted in bicycling, DART news, Transit Hub by DART. Bookmark the permalink.